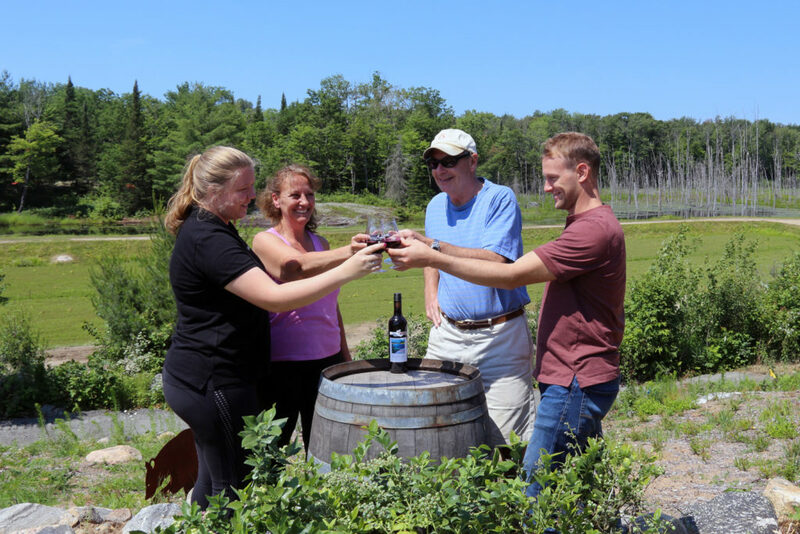 In summer, our Bog to Bottle Tour takes a detour up Blueberry Hill! In addition to cranberries, visitors discover facts and lore about its cousin the blueberry. This guided journey includes a stop at the scenic outlook on top of Blueberry Hill. At the top of the hill, visitors taste blueberries, blueberry products and, of course, blueberry wine! Blueberries and cranberries are Muskoka’s two native fruits, and they’ve been the focus of our winemaking since we founded Muskoka Lakes Winery. Blueberries grow wild all over our 350 acre farm, but some places are hard to reach or production is claimed by bears. On Blueberry Hill, we’re experimenting with varieties, management and cultivation – all while entertaining visitors. Our blueberry wines have become so popular, it’s time to tame this wild fruit! What’s the difference between wild and cultivated blueberries? High bush and low bush? What does fire have to do with blueberry growing? These questions and more will be answered on a journey to the top of Blueberry Hill. 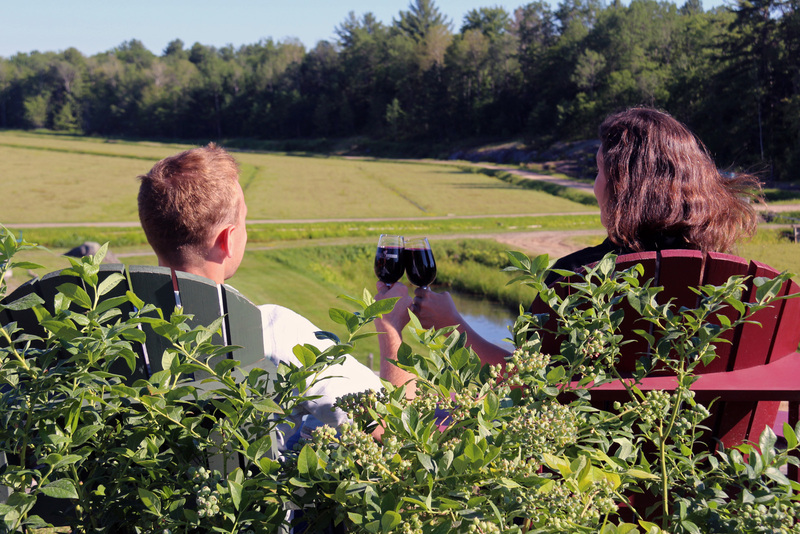 Once there, take the time to relax in a Muskoka chair and enjoy the view! The tour includes tasting blueberries in various ways – especially as wine. Some of the wines you’ll taste are exclusive to the tour. Come out this summer and find your thrill!